This is the view from the truck looking out into the horses pasture. 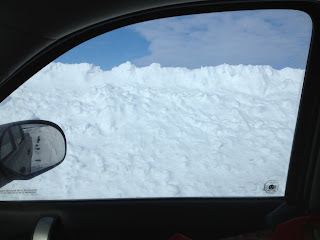 That is a snowdrift! crazy!